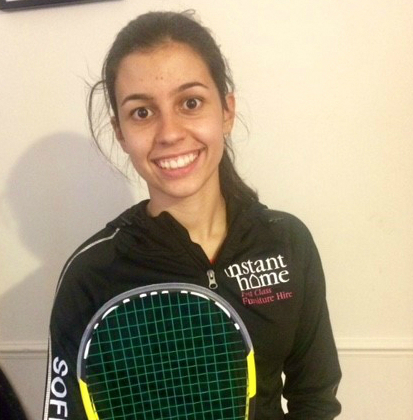 We last caught up with Sofia, our young squash prodigy that Instant Home is very proud to sponsor, a whole year ago. 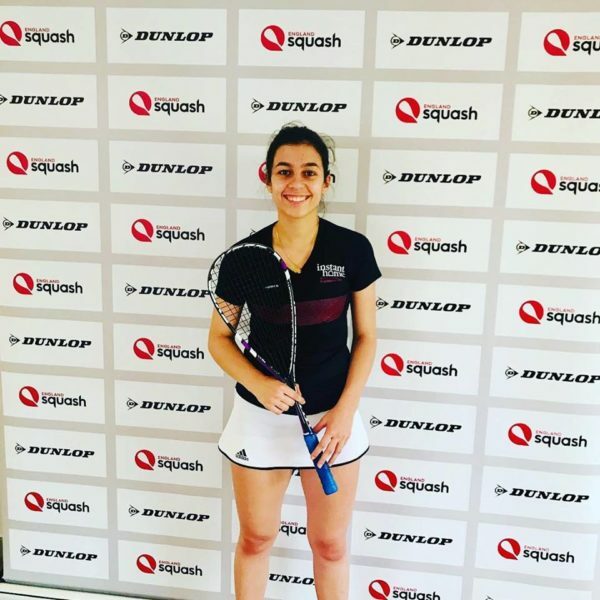 And my goodness has it been a busy year for this sixteen year old squash sensation! Cambridgeshire’s finest travelled all the way to Canada with her club – Hunts County Squash Club. She was one of just four exceptionally talented young women to be chosen for the three week tour, which took in the cities of Vancouver, Calgary and Victoria. It was incredible! A real once in a lifetime opportunity. Not only did we get to play a lot of squash but we also had a great deal of fun. We went hiking in Banff where the scenery was absolutely breath-taking. We were completely surrounded by mountains, and even went up in a cable car (which I admit I found a little terrifying as I am scared of heights – but it’s good to push yourself out of your comfort zone). We also went to a food festival in Calgary where we got to try out a variety of different foods. We played matches nearly every day and met lots of interesting people. We stayed in people’s homes and everyone was really warm and welcoming. We played with juniors our age, but we also got to play in a senior tournament and came plate runner up, which was an incredible achievement that we were very proud of. It really stands me in good stead for going forwards and doing other international tournaments. I loved the trip and feel very privileged to have had the experience – although I have to admit, I was glad to get home. It’s the first time I’ve ever been away from my family and I missed them. How has it been since you came back? Busy! I came back to my GCSE results, which I am really pleased with. I got into the sixth form I wanted and am doing Core Maths, Business and Sports Studies as my A Levels – I am also doing a fitness course. My sixth form are incredibly supportive of my squash career and even helped to fund the Canada tour. Whenever I get a free period I go to the squash court and practice. And how is the squash going back in the UK? Brilliantly! I recently became the under 19 county champion for girls. I decided to move up an age category to build up my national ranking. So now I’m in the under 19s category rather than the under 17s. This is the last ranking for juniors and I am trying to get as high as I can in that while I can. I have also moved from silver events to gold events which means I get to play more international games, with people all around the world taking part. And I have moved from second seed to first since we last spoke. How has the sponsorship from Instant Home helped you? Instant Home provide me with one lesson a week with my coach, they provide me with training kit and equipment and also offer a lot of support to help me get further with my career. They also supported me with my fundraising I had to do to finance the trip to Canada, including sponsoring me to do the Mud Run which involved running 10k through mud and various obstacles. It sounds awful but it was actually great fun and I managed to finish in 1 hour 20 minutes – I do like a challenge! Wow! What an amazing year it’s been. We look forward to hearing more from Sofia soon as we follow her career closely. We will be sure to post updates here.